When cooking seafood like these prawns, you usually don't want to dry out the meat by cooking it for ages. Seafood, for me, is best when it is JUST cooked. This requires either high heat and quick action, or low heat where you gently poach. Tiger prawns are good when you can add some colour to them and that requires high heat. You therefor need to have your lemon cut, garlic crushed, the herbs chopped and the pan nice and hot before you start cooking the prawns last minute. Once the prawns change colour and are warm through (and this you time 2-3minutes) they are cooked and ready to serve. It wont ruin the prawns if you keep them warm for a while but if you keep it warm for an hour all the beautiful juices will pour out drying out the meat. 1. 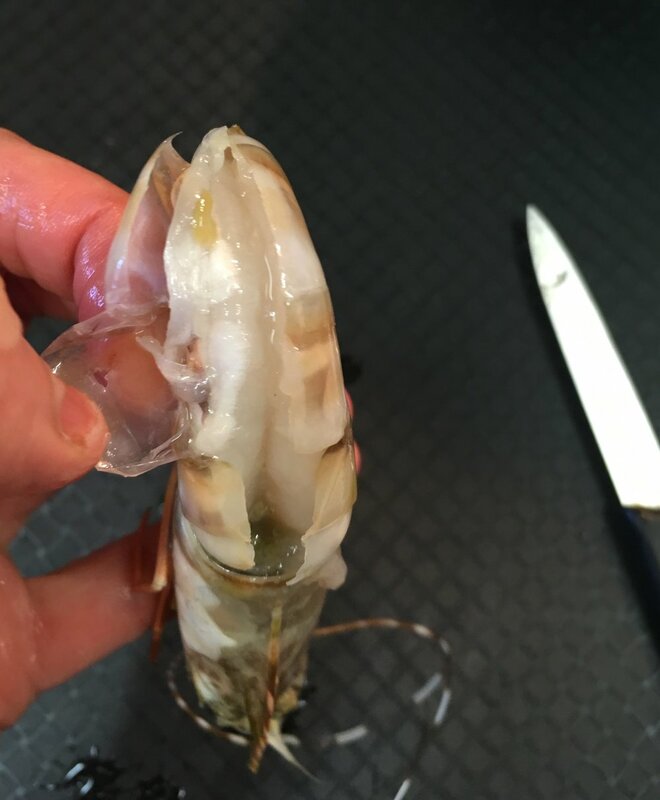 Run a knife or kitchen scissors along the the back of the prawn to expose the poop shoot. 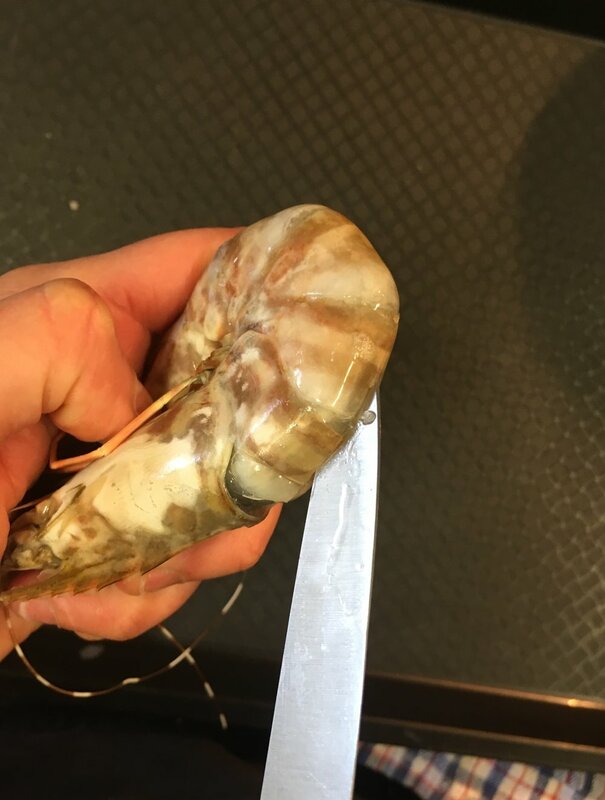 Remove the poop shoot with tip of a knife and give the prawn a rinse to remove all the dirt. 2. 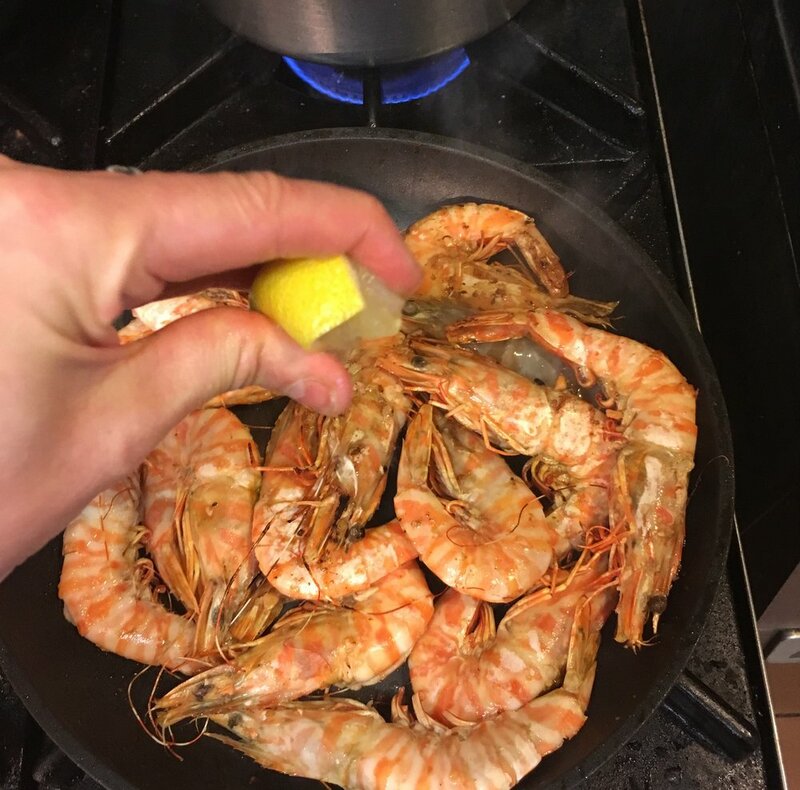 Fry some crush garlic with olive oil and butter over medium heat and add cleaned prawns. 3. Turn the heat up and once the prawns have started to change colour, toss them over to colour both sides. Squeeze some lemon juice into pan and season with salt and cover with lid (or turn another pan turn over unto this pan) to steam for further 2 minutes. Add some freshly chopped herbs like parsley, chives and/or dill and a big dollop of butter.